Timberline Tours, the company, has a history that’s as adventurous as the rafting and jeeping trips it runs near Vail, Colorado. From Greg Kelchner’s beginnings in the ski tourism industry to his current focus on offering the highest quality rafting and jeeping tours in Vail, a few big milestones have shaped the company into the world-class outfitter it is today. 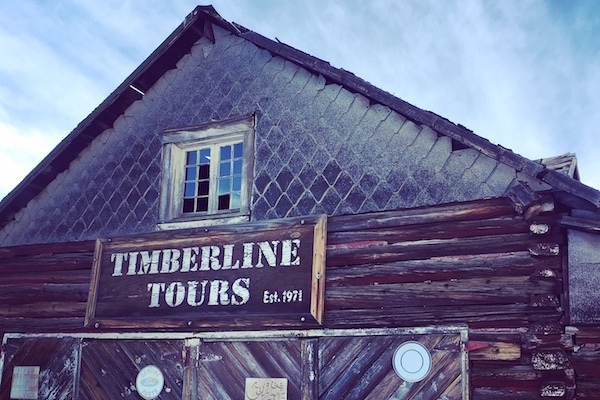 Timberline Tours was founded in Vail by Greg Kelchner in 1971 as Timberline Ski & Mountaineering, an adventure outfitter that focused on cross-country skiing and guided ski tours. As a certified cross-country ski instructor, Kelchner both guided and helped clients hone their skiing skills. He was the first guide to receive a permit from the National Park Service to guide extended trips within Yellowstone National Park. At that time, Kelchner also taught in the outdoor education program at Colorado Mountain College (CMC), and he led students on extended backcountry touring trips to Yellowstone, along with Timberline Ski & Mountaineering clients. At CMC, Kelchner offered college-level instruction in the areas of hiking, basic climbing, and basic river skills. In the early 1970s, Timberline Ski & Mountaineering also guided cross-country ski tours in the area near Piney Lake, the current location of Piney River Ranch and an area where Timberline Tours now offers Piney River Ranch jeep tours during the summer season. While this location has long been considered a prime place for Colorado moose viewing, Kelchner guided guests in the backcountry on skis and also guided snowcat sightseeing tours in the area of Piney Lake. In the early 1900s, the Piney area was a base camp for a logging operation, and there was a sawmill much lower down in elevation, where the luxurious homes of the Potato Patch Club exist today. Up the hill near the site of the former Piney logging operation, Timberline Ski & Mountaineering guests would return to the mess hall after full-moon skiing excursions around Piney Lake to eat pan-fried steaks and bread baked in a wood stove. Dave Gorsuch was instrumental in mentoring Kelchner in the early years of Timberline Ski & Mountaineering. Gorsuch gave him the opportunity to base his tour business out of the famed Gorsuch retail store in Vail Village, and when Kelchner offered to pay him, Gorsuch wouldn’t let him. That experience, along with Gorsuch’s influence, stuck with Kelchner and shaped the values that he took with him as his business grew. In 1976, Greg Kelchner opened a retail store called Vail Mountaineering in Vail’s Lionshead area to expand his guiding business, rent cross-country ski gear, and sell other outdoor gear including skis, backpacking gear, sleeping bags, and tents. In the summer, he based his retail and rental business as well as his guiding and instruction business out of the Vail Mountaineering shop. The cross-country ski business continued to grow alongside the Vail Mountaineering retail and rental side of the business, and Kelchner met many other influential outdoor adventurers in process of running it, including Everest pioneers Sir Edmund Hillary and Tom Hornbein. Hornbein had written a book about his experience on Everest that inspired Kelchner when he read it in college. Kelchner sites reading Hornbein’s book as one of the influencing factors that led him to move to Vail and explore mountain landscapes, so meeting Hornbein in Vail was a particularly remarkable moment for him. In 1986, Kelchner had the opportunity to sell the retail part of his business to Alex Wilhelmsen, who eventually developed his business into the high-end clothing retailer Axel’s in Vail Village. This opportunity gave Kelchner to focus back on the guiding portion of his business, and in 1986, he began Timberline Tours as it is known today. Following 1986, Kelchner gave up the ski tour component of Timberline Tours to focus on rafting and on snowmobile tours. He based his operation in Vail near where the Chicago Pizza is located today. Timberline Tours snowmobile guests were guided in the area of Camp Hale on Tennessee Pass and on private property in the area of Fremont Pass. 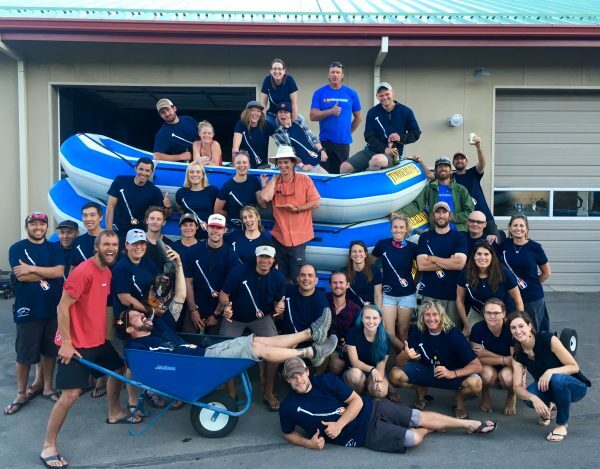 In the mid-90s, Kelchner sold the snowmobiling portion of the Timberline Tours business and began focusing solely on rafting. He continued to build Timberline Tours into the world-class outfitter that it is today. Known for pioneering commercial rafting in the Vail area and for having an expert, highly experienced guides, Timberline Tours now offers multiple backcountry jeep tours and also guides Vail whitewater rafting trips on the Arkansas, Eagle, and Colorado Rivers.